You do the responsible thing and regularly treat your dog against heartworms, but then your pooch accidentally gets a double dose of heartworm medication and your panic begins. It's helpful to know when you should contact the vet and the signs of toxicity to watch for. Unbeknown to each other, a couple accidentally gave a dog two heartworm pills. While searching for a snack. the dog ate heartworm medicine. The small dog is given a large dog tablet. Your dog eats vomit containing another dog's heartworm med. Your dog licks off a spot-on product, which delivers a higher dose than if it is absorbed as intended via the skin. As the Blue Cross advises, your first action should be to work out exactly how many tablets or doses the dog has eaten. Save any packaging or take a photograph of it, which helps the vet understand which size tablets the dog ate. This will enable your vet to do a calculation and see if the dog has eaten a toxic dose. Fortunately, these medications carry a wide safety margin and whether treatment is necessary depends on whether a toxic dose was ingested or not. Contact the vet as soon as you suspect your dog may have overdosed. Should the vet decide the dog has eaten a toxic dose relatively recently, the vet may make the dog vomit to get rid of the medication from his stomach. Once two hours have passed, the active ingredient will already be in the bloodstream and inducing vomit is of no benefit. If your dog displays any of the above, especially after an overdose of heartworm medication, contact the vet immediately. While there is no antidote to toxicity, the vet may be able to give medications to minimize further absorption of the active ingredient and to reduce the effect of the toxicity. Your vet is always the best source of information pertaining to your specific circumstances and the information below is for interest only. The greatest risk with expired medication is that it has lost some of its effectiveness. Therefore, if the dog eats a recommended dose of an expired med, contact your vet to inquire when you should give the next dose of in-date medication. The answer will vary depending on the conditions in which the medication was stored and how out of date it was. Because the medication will have some residual action if the dog has an overdose then contact the vet as you would for an in-date medication and proceed accordingly. Using out-of-date medication means there is a risk the dog was not protected and may have picked up heartworm in the interim. You must discuss this with your vet because treating with a preventative if the dog has adult heartworms, could make the dog very sick. Plumbs Veterinary Drug Formulary [location 39132 Kindle edition] suggests signs of toxicity are most likely to occur with doses in excess of 1 mg/kg body weight (equivalent to 1,000 micrograms per kg body weight.) Thus a 10 kg dog may show toxicity when exposed to 10 mg (or 10,000 micrograms). A single Heartgard Plus for a dog less than 25 kg body weight contains 68 micrograms, thus the dog would need to eat around 147 tablets for a Heartgard overdose to occur. However, some dogs are more sensitive to the active ingredients than others so never be complacent and always seek veterinary advice if the dog has an overdose. Collies, in particular, are a special case. Some Collie dogs have a genetic mutation which makes their brain more vulnerable to the effects of ivermectin medications. Always contact your vet immediately if your collie has an overdose. As listed above, there is a wide safety margin for heartworm products. If there is an obvious mistake, such as a small dog has been supplied with a large dog medication, then contact the veterinary clinic. When products are dispensed, there is always the slim possibility of human error, and there may have been a simple mistake (such as picking the wrong sized pack off the shelf). Your vet will be anxious to make amends and supply the correct medication, so do not hesitate to contact her. If you have already dosed the dog before realizing the error, then contact the vet as you would for a suspected overdose and take her advice. 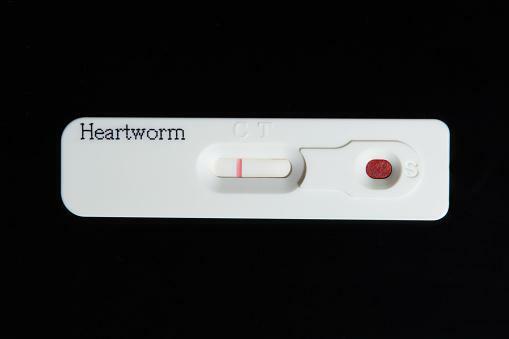 PetEducation notes the safety margin for heartworm medications is high and they are safe to use at the recommended dose in pregnant dogs. While accidents can and do happen, there are tips you can use to avoid overdosing your dog. Although you might choose to buy a preventative directly from your vet after your pet's heartworm check has been completed, some owners prefer to buy this type of medication from a discount company. While this is completely acceptable, it can lead to some confusion about correct dosage. The recommended dosages are based on your pet's weight, and unless you have a way to measure your pet's weight accurately, you're taking a gamble on the correct dosage. 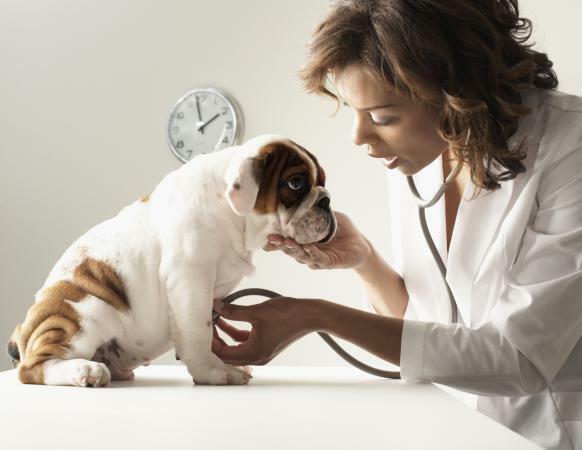 It's truly worth a few minutes of your time to call your vet to check your pet's weight as recorded at his checkup. You can also confirm the correct dosage with your vet at this time. You can also easily keep track of your pet's medication by marking your calendar each time you give her a dose. This is a great way for other household members to see that the medication has already been given. Still, you should have an agreement that everyone will check with the dog's main caregiver to make sure that no one forgot to record the dose after giving it. Oversights do happen. A pill case can be a great reminder to give your dog her daily preventative if that's the variety she's on. These cases have a compartment for each day of the week. Just load one pill into each slot and don't reload again until the entire box is empty. You can also change the names of the days to months by covering them with a sticker. Just as with the daily medication, you shouldn't reload the case until the current monthly dosages are finished. No owner wants to put their dog's health at risk. All medications carry potential side effects, and an overdose is always undesirable. However, the good news is the safety margin for heartworm drugs is very wide. It should also be remembered the consequences of acquiring heartworm infection are devastating. Any medication must be treated with respect, but happily, the risk of a serious mishap is extremely low especially when heartworm medications are dosed accurately.